The Vivo range of stringed instruments has been crafted to deliver a student instrument that looks, feels, sounds and plays well above its price tag. 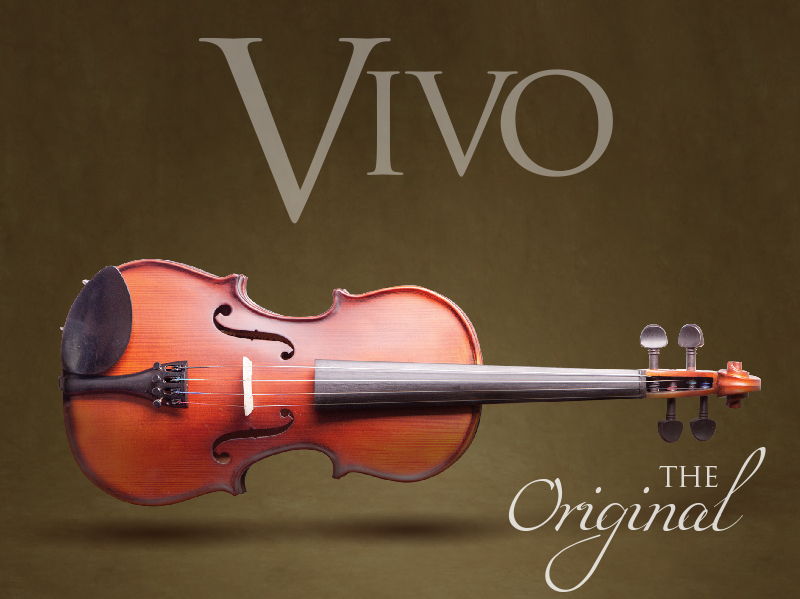 During extensive consultation with the String community; including Players, Teachers and Violin Luthiers, The Vivo brief was to hone in on the needs of a quality student instrument. The Solid Spruce top and Solid Maple back and Sides delivers a rich tone. The inlaid Purfling, Ebony Fingerboard and Pegs combine to give the instrument the classic traditional look. Whilst the Ultra-Lightweight composite tailpiece brings it into the modern world. Tailpiece Vivo Ultra-Lightweight Carbon Composite with fine-tuners.